This short documentary depicts the stories of two hibakusha, survivors of the 1945 atomic bomb attacks on Hiroshima and Nagasaki. This film follows them on their mission to New York as representatives of the Japanese Peace Movement at the second United Nations Special Session on Disarmament held in June 1982. 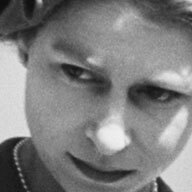 An English Queen, once said "I don't like War, it is too unpredictable". Voltare, wrote about the battlefield in "War" We still don't get it! Until it reaches us, and we hear the word DRAFT! Jim eirelackawanna.